The Diva's challenge #84.......Blind Sighted. 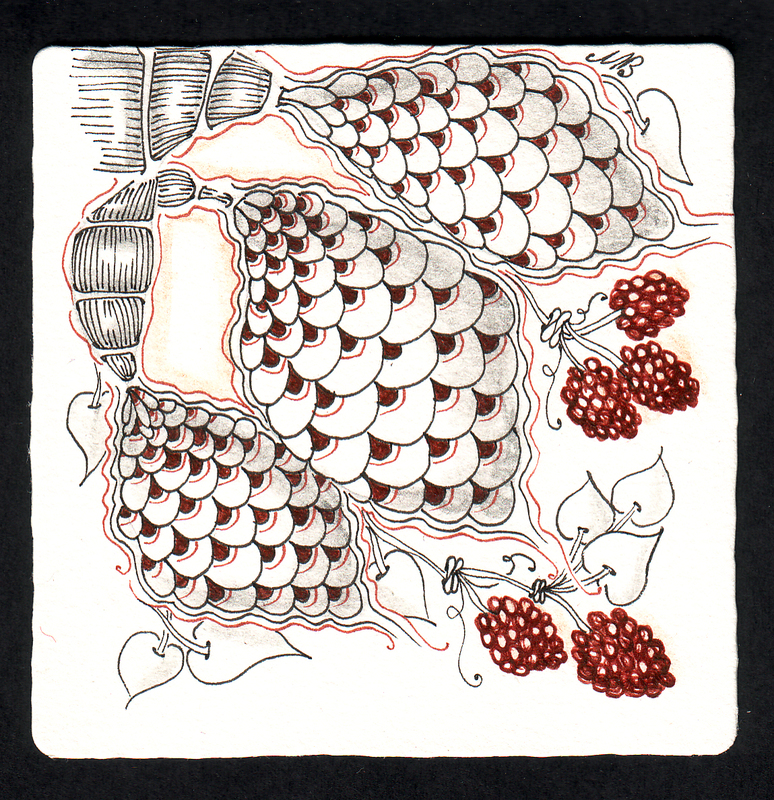 In Zentangle we talk about the surprise element of unknown outcomes so closing your eyes, taking a breath and let your pencil do the walking is a great start to letting go of any decisions and judgement. 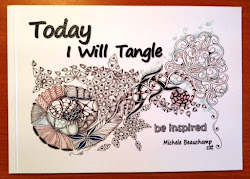 Often once you start, certain tangles pop into your mind and ta-da inspiration sparks. Thanks Laura. Very fun, I really enjoy your Pine Cones. Lovely work as always! Great tangle. Love the fish-scale pattern. What is the name of that pattern? It is an official tangle called tagh. Great looking design. Reminds me of fish, liking the color too. Great! Love this design with only a few tangles. Great design and use of color. Great design, with beautiful touch of red color. Perfect, yep really perfect! I love the fresh beauty! Beautiful Shelly - you always seem to have just the right touch of color. 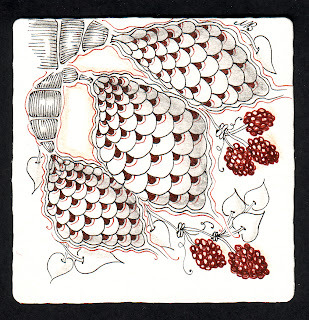 Your Zentangle feels like the end of summer and beginning of fall - my favorite time of year! A great string, and the choice of tangles is super for it. The tangle Tagh is so nice. yummy! love the touch of color! 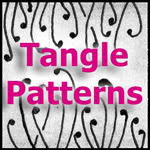 I love how you have the courage to repeat tangles. This is so effective. Welcome fall! Like Molly says: like the touch of color! i'm loving those red bronx cheers (or brown) and the aura around your pinecones - beautiful!